Team. Ciaran Brennan, Jack Nolan, John Joe Kelly, Tommy Downey, Loughlin Hogan, Conor Dowling, Ciaran Coady, Brian Coady (2 pts), Eoin Murphy (1pt), Padraig Buggy (1pt) Robert Reid, Sean Meagher (3 pts), Adam Comerford, Brandon Sheehan, Dean Farrell. Subs. Adam Kelly (used), Conor Fahey (used), Ciaran Fitzpatrick, Patrick D’Arcy, Matthew Cullen, Daniel Comerford, Liam Brennan. 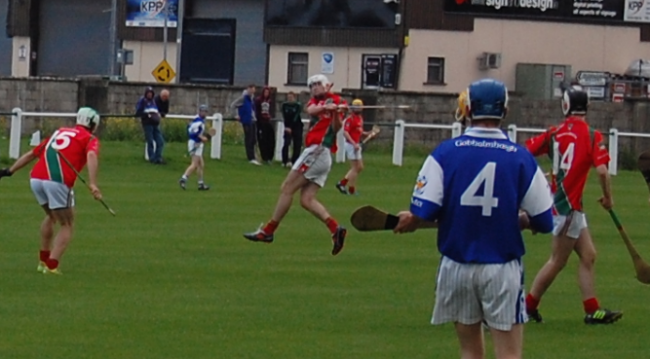 Some action shots from St. Martin minors win over Galmoy. 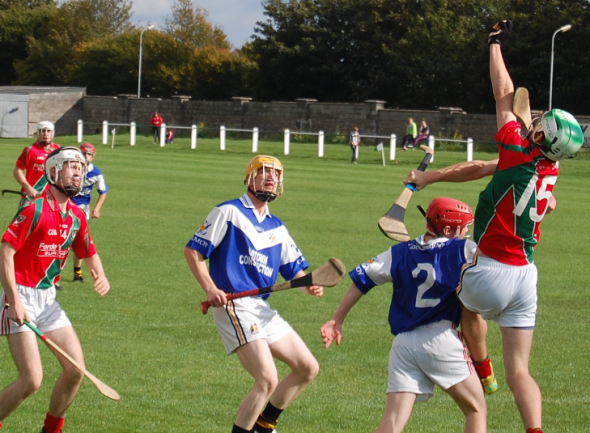 St Martins minors qualified for the Minor County Quarter Final with a good win in Johns Park. An early Shane Dowling goal set them on the way and by half time they were 1-7 to 0-5 despite suffering the loss of two players to injury. 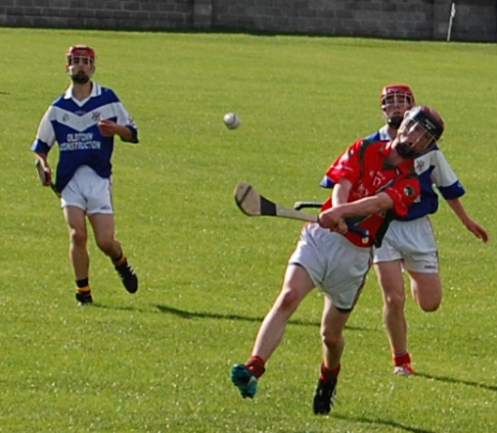 They added a number of points early in the second half to ease to victory where Galmoy Windgap may have had one eye on next weeks u-16 final. They meet Clara in the quarter finals who’ll be fancied on the 25th Oct. Team: Jason Shore, Conor Dowling, Paddy Heffernan, Loughlin Hogan, Eoin Murphy, David Walsh, Steven Walsh, Brian Cody, John Joe Kelly, Tommy Quirke, Robert Reid, Brandon Sheehan, Mark Cody, Shane Dowling, Finn Dowling. Subs: Mark Dowling, William Trousdell, Aidan Egan(used), Jack Nolan, Ronan Tynan, Robert Fitzpatrick, Diarmuid Murtagh, Sean Maher, Ciaran Brennan, Colm O’Neill, Richard Teehan. A number of wides cost St Martins as they were unlucky to draw in this Minor League semi final. Having played against the breeze the Saints would have being confident of turning things around trailing 0-6 to 0-4 at the break. Instead Dunamaggin gained a 0-8 to 0-6 lead in the middle of the second half where ‘Martins shooting was an issue. A number of switches saw St Martins take the lead which they held until the dying embers of the game when Dunamaggin fired over a disputed free. Unfortunately the young saints were to suffer a further blow when Shane Dowlings injuries suffered on the field proved to be far more serious after being taken off. Team: Jason Shore, Loughlin Hogan, Richard Teehan, Eoin Murphy, Conor Dowling, David Walsh (Capt), Steven Walsh, Brian Cody, Brandon Sheehan, William Trousdell, Robert Reid, Colm O’Neill, Shane Dowling, Tommy Quirke, Mark Cody. Subs: John Joe Kelly, Sean Maher, Jack Nolan (Used), Aidan Egan, Diarmuid Murtagh, Ronan Tynan, Ciaran Cody, Ciaran Brennan. St Martins minors travelled to Laois on Thursday evening and produced a good performance to see off the tough challenge of the host side. Martins lead at half time 0-10 to 0-9. In the third quarter they made a burst for home scoring 2-1 without reply which was to prove vital. A total of 17 wides would prove to be a concern but overall the saints were the deserved winners. St Martins: Jason Shore, Diarmuid Murtagh, John Joe Kelly, Loughlin Hogan, Conor Dowling, Richard Teehan, Eoin Murphy, Brandon Sheehan, Brian Cody, Colm O’Neill, Tommy Quirke, Shane Dowling, Finn Dowling, Robert Reid, Mark Cody. Subs: William Trousdell, Steven Walsh, Ronan Tynan & Ciaran Brennan. St Martins Minors began their championship preparations mixing the good & the bad in a 60 minute performance that was hard to asses. For the first half they played against the wind and put together some smart moves that saw them lead 2-7 to 0-7 at the break. After the break the home side seemed to be motoring when they tacked on a goal a few points but again they faded as is the norm with this team. After giving away numerous frees & showing some ill discipline they let the village back into the game with some sloppy defending leaking two goals. On the plus side their attack looked much slicker than in previous matches but a lot of work needs to be done ahead of the first round of the championship on September 14th. St Martins: Jason Shore (C), Diarmuid Murtagh, David Walsh, Loughlin Hogan, Conor Dowling, Richard Teehan, Eoin Murphy, John Joe Kelly, Brandon Sheehan, Mark Dowling, Robert Reid, Tommy Quirke, Shane Dowling, Mark Cody, Colm O’Neill. With a good spirit in the squad, Rower Inistioge were our next obstacle in the Rionn A football league. Settling well we pointed after 5 minutes with good team play. 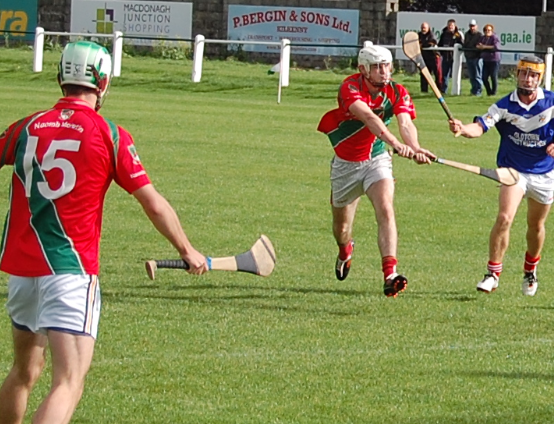 A Rower Inistioge attack saw them goal after a long ball was deflected to our net. We responded well to dominate possession and added 2 further points to lead the half time score level 3 pts to 1 goal. St. Martin’s started the second half with a great run from midfield to goal after 3 minutes. With the lions share of scoreable chances adding 3 more points we went into the last quarter 6 points up. Rower Inistioge we’re not finished yet and put a goal and 2 on the board to leave just 1 point in it. St. Martin’s gaoled again with 2 points in reply to leave 2 pts in it heading into injury time. 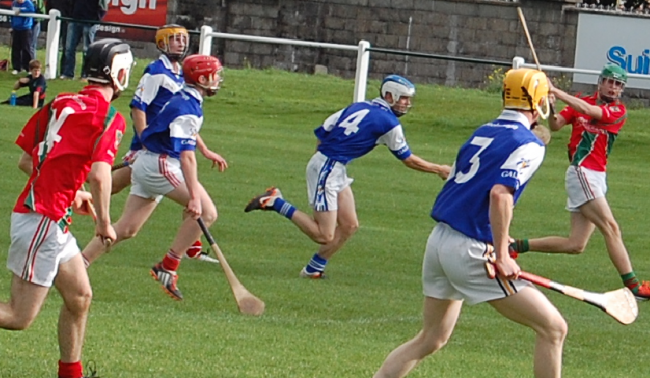 St. Martin’s finished the scoring with a well taken point to win on a score of St. Martin’s 2-7 Rower Inistioge 2-4. Subs: Mark Coady Sean Maher Finn Dowling Aiden Egan Ciaran Coady (all used) Conor Fahey Ronan Tynan Ciaran Fitzpatrick. St. Martin’s minors fight back in Football league opener.